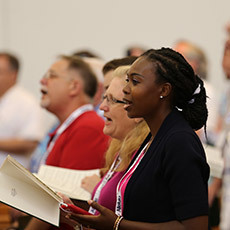 The Alleluia Conference is a one-of-a-kind enrichment event featuring superb clinicians who re-energize and inspire worship leaders, music ministers, children’s choir leaders, and keyboard ministers. Randall Bradley Worship Leadership He is the Ben H. Williams Professor of Church Music and Director of the Church Music Program and the Center for Christian Music Studies at Baylor University where he is a member of the undergraduate and graduate faculties and directs the Baylor University Men&apos;s Choir. With a passion for building bridges between Christian musicians, he continually looks for ways to create meaningful dialogue among all who are committed to serving the church through music. 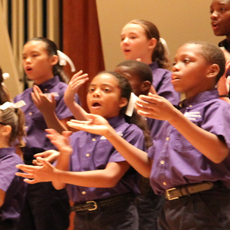 Mark Burrows Children&apos;s Choirs Mark Burrows is a writer, composer, and clinician whose works are published by many major houses. 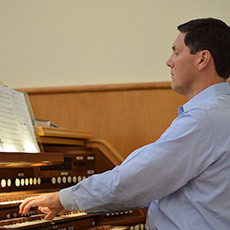 His choral pieces, musicals are performed throughout the world and top many best-seller lists.Mark is currently the Director of Children&apos;s Ministries at First United Methodist Church - Fort Worth, Texas. 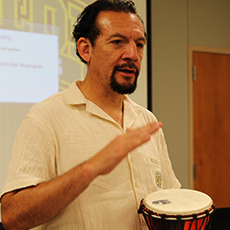 Mark has been called a "thought leader" in the area of children in worship. 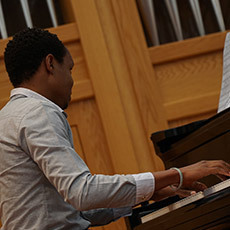 Joseph Martin Composer Joseph Martin, a native of North Carolina, earned his Bachelor of Music degree in Piano Performance at Furman University in Greenville, South Carolina. 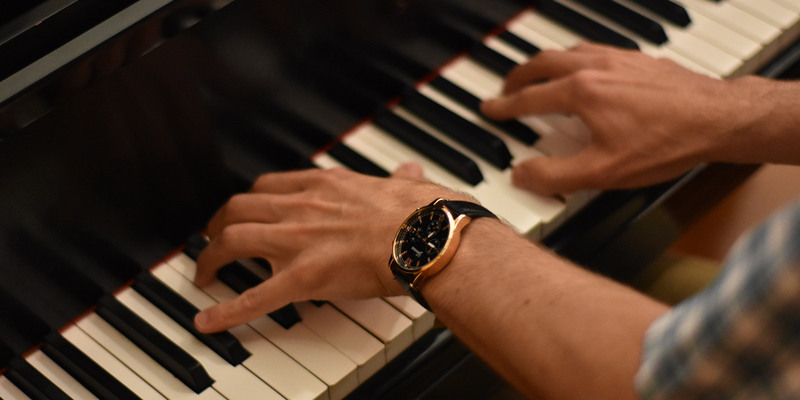 Subsequently he earned a Master of Music degree in Piano Performance at the University of Texas, Austin. 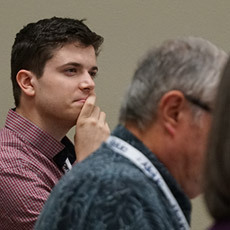 He is a member of the staff of Shawnee Press, Inc. as Director of Sacred Publications, with responsibilities for overseeing the editorial and creative direction of the company and also coordinating the recording and production aspects of future sacred publishing efforts. 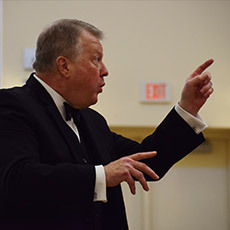 Jerry McCoy Conducting Dr. McCoy&apos;s work in the international choral community includes appearances in Austria, Canada, China, Cuba, France, Great Britain, South Korea, Sweden, Taiwan, and Venezuela. He has been a guest conductor/clinician/adjudicator in forty-one U.S. states. In addition, he has served Texas congregations in Baptist, Christian, and Presbyterian churches. Hart Morris Handbells Hart Morris is a graduate of Oklahoma Baptist University (Church Music /Voice) and the University of Houston (Choral Conducting), with additional studies in percussion at Oklahoma City University and the University of Houston. He was Minister of Music at Asbury United Methodist Church, Tulsa, Oklahoma, from 1992-2012, and served in the same capacity at churches in Florida, Texas and Tennessee. 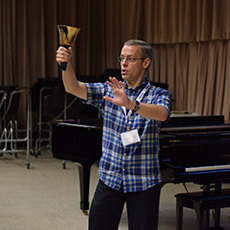 He has directed AGEHR/HMA National Seminars and festivals, conferences and workshops and twice represented the US as a conductor for International Handbell Symposia. He is a published composer of handbell and choral music. Heather Sorenson Composer Composer and arranger Heather Sorenson entered the church music industry several years ago, and her name has quickly become a welcomed fixture in the publishing world. Heather is hired by the largest and most respected publishers in the world, and her pieces remain at the top of best-seller lists and Editor&apos;s Choice selections.Heather is also in demand as a clinician and performer, leading master classes and speaking at churches, universities, and worship conferences across the country. 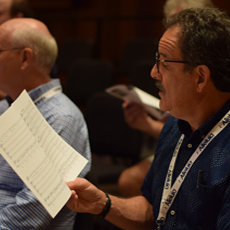 With a wide selection of opportunities for each member of your music leadership team, Alleluia has something to offer every church musician and we encourage you to attend and experience first-hand, the rejuvenation that comes from joining together with other like-minded leaders. Reading Sessions: 12 breakouts, including 1 with full-orchestra. Breakout Sessions: Featuring more than 40 workshops and lectures. 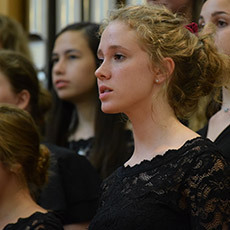 Evening Events: Worship, Recitals, Concerts, and more. Discussion Panels: Conversations with ministry leaders. 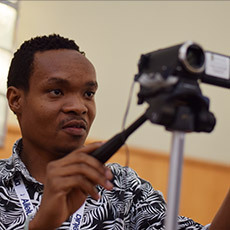 Explore upcoming conference offerings by viewing the schedule. 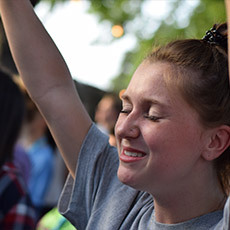 Encourage high-school leaders to attend our leadership training camp running concurrently with Alleluia.